Given that in February I’m attempting to read five books from the BBC’s Big Read it was pretty much a given that a couple of those chosen would have to be fairly short, in order that I complete my challenge. Thus, Charlie and the Chocolate Factory was an obvious choice, due to Roald Dahl’s wonderfully succinct narratives. 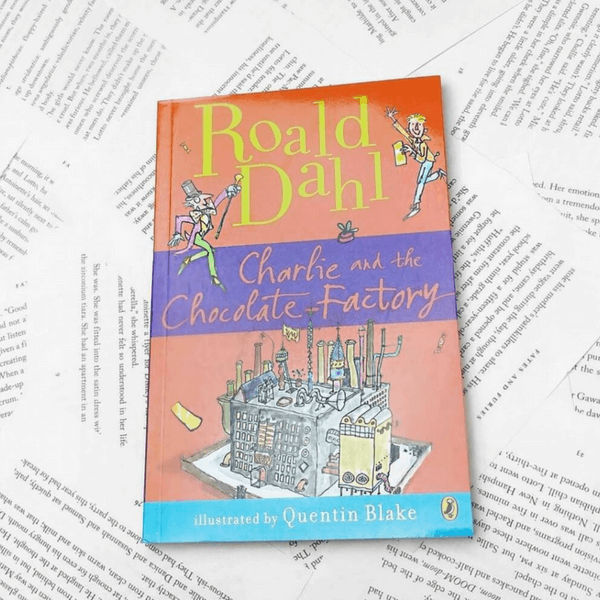 As with all Roald Dahl’s books, Charlie and the Chocolate Factory is a quaint and charming tale with a strong moral undertone. 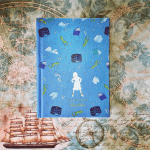 The book tells the story of Charlie Bucket, a young boy who lives in a cramped house with his parents and both his paternal and maternal grandparents. The family is a poor one; the four grandparents share a bed and they all live on a diet of boiled potatoes and cabbage. 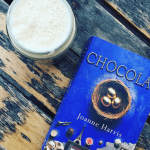 The town in which they live is famous for the landmark chocolate factory, maker of tantalising treats a-plenty, and the tale was inspired by Dahl’s experience of chocolate companies during his school days. When the owner, the elusive Willy Wonka, decides to invite five children inside the majestic gates of his chocolate factory, children far and wide are desperate to find one of the golden tickets hidden inside the wrappers of Wonka chocolate bars. And thus the winners are announced; Augustus Gloop – a greedy young boy who eats constantly, Veruca Salt – a horribly spoilt girl whose father buys her everything she asks for, Violet Beauregrade who chews gum all day and Mike Teavee, a boy whose favourite pastime is to watch TV. With just one remaining Charlie can’t believe his luck when he finds a ticket; knowing that the life-time supply of chocolate he’ll be given at the factory will see an end to his family’s poverty. And so, the five children’s adventure begins as Willy Wonka leads them through his magical factory, with chocolate rivers, caramel lakes and a never-ending supply of the sweetest of treats. The day, however, doesn’t run smoothly as each of the children’s faults sees an early demise to their day. Augustus Gloop, consumed with greed starts drinking from the chocolate river and falls in; Violet Beauregrade tries some gum despite being warned of potential side effects and swells up like a blueberry, Veruca Salt attempts to steal a sorting squirrel and is thrown down the garbage chute and Mike Teavee is shrunken to six inches after trying to use the Television Chocolate Machine. Consequently only Charlie remains and Wonka then makes an announcement; Charlie is to inherit the Chocolate Factory. And thus becomes apparent that the golden ticket really was the key to the door of happiness. Darkly sarcastic and hugely entertaining, Charlie and the Chocolate Factory deals with themes of sin and temptation and sees a triumphant and moral conclusion that spells the end of a life of poverty for Charlie and his family. Excellent choice for one of the books to read for the challenge. But i would have recommended the Witches or the Twits over Charlie, Not that Charlie and the chocolate factory isn’t amazing, but The Witches and The Twits seem to be slightly lesser known, but are equal in their brilliance. Saying that, almost every Roald Dahl books are unique and wonderful (Not to mention weird). 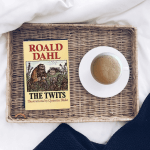 For people who haven’t read many of his books, look-up lists like this one – Roald Dahl books list – for recommendations!